Parts II, V, and VI of this series present the flight crews, the planes they flew, and the combat missions of each. Search methods permit the derivation of the mission list of each individual flight crew. In developing Parts V and VI, it was attempted to develop the corresponding ground staff for reach aircraft to complement the flight crew listing. Unfortunately, the available records for the 380th do not relate individual records to particular aircraft except for some ferry flights which were made to New Guinea and Corunna Downs, West Australia. The Hortons in their history also mention several of the aircraft ground crew chief by name, but only for the most famous aircraft. We have therefore reformatted much of the personnel listing of Part I of the series to allow us to list all aircraft ground crew by MOS (Military Occupational Specialty) or SSN (Service Specialty Number). 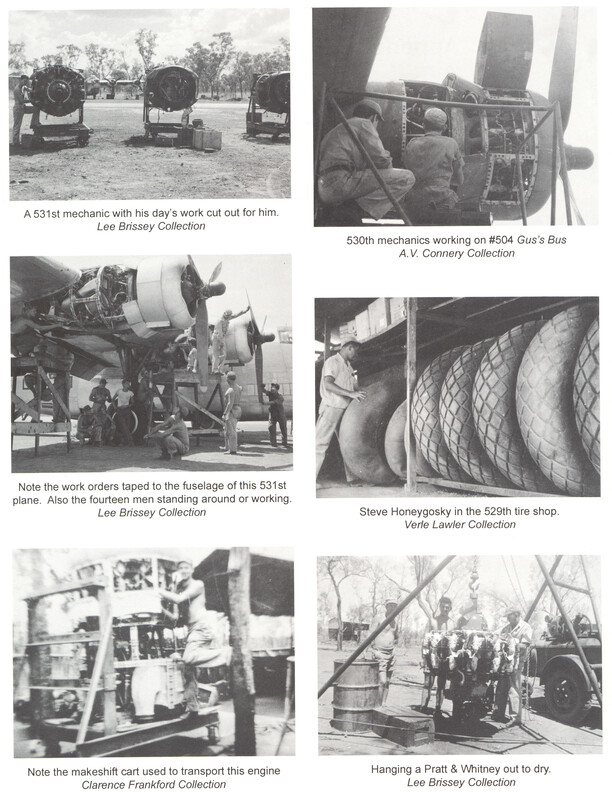 Please see the MOS listing in Part IV of this series for a complete set of these which were used in the 380th. Part VII-A covered the 380th ground staff directly involved in maintenance, arming, and servicing of the group's aircraft. This Part covers all other ground staff: Administration, Supply, Medical, Mess, etc., and is listed by Department Assigned, Specialty within the Department, and lastly by Squadron in the 380th Bomb Group. Source: Horton, Best in the Southwest, page 500. Click here to download Part VII-B (in Adobe Reader PDF format).